New to the market after a year of trials, the MG white mambas, as they have been nicknamed, are proven winners. 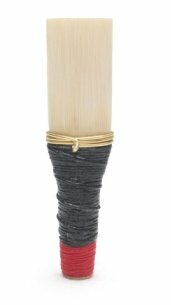 The introduction of the unique paddle shaped tenor tongues to our bagpipe reeds, give improved stability and strike in. 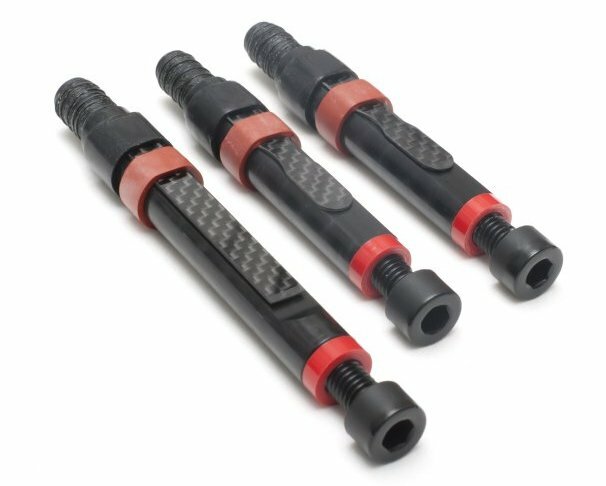 In comparison to the original carbons, they are a little livelier, however they do not have the over buzz normally associated with carbon-tongued reeds. In addition we have comprehensive set up and maintenance guides, which are available in the menus above and below this page. This premium set of reeds has a full set of carbon fibre tongues which give an instantly steady reed. In addition, our tenor reeds in this set do not give the harsh buzz sound normally associated with carbon fibre reeds. The design gives a full rich tone yet retains a smooth and mellow sound. 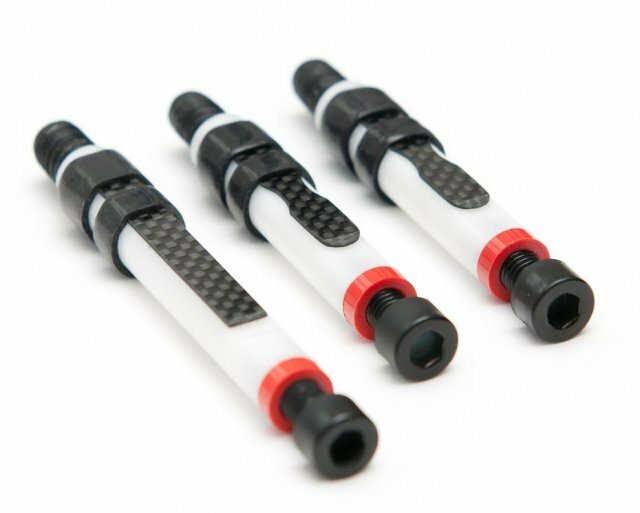 Precision engineered bagpipe drone reeds, made from moisture resistant materials. Our synthetic drone reeds design give the best possible combination of harmonics from the bass and tenor drones. Utilising man-made materials we ensure richness of tone, stability of sound and reliability. Cane is easy... give it a try. 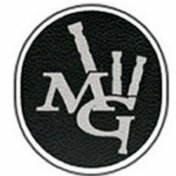 MG cane drone reeds are hand crafted from the finest sources of cane using traditional methods. As a result, it is the reed of choice by Inveraray and District Pipe Band Grade 1 world champions 2017. Additionally you can find cane drone reed set up guides in the menus above and below. 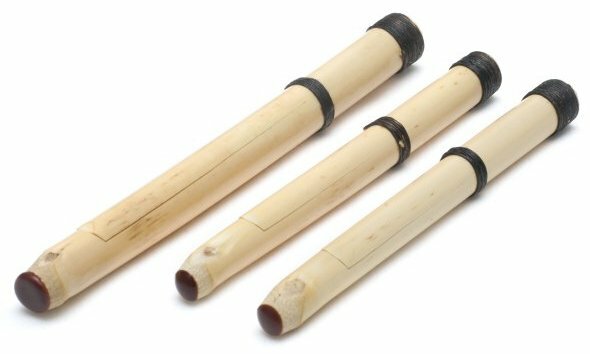 Our small pipe reeds are available for chanters in the key of A, C, and D. These reeds have a very crisp, bright and clear tone and are hand crafted from the finest selected cane grown in the Var region of France. 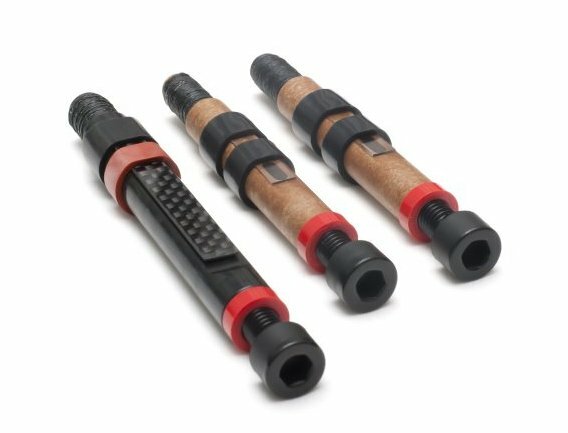 For bellow driven or mouth blown small pipes. Our reeds have successfully lifted prizes in pipe band and solo competitions, including the Gold medal and World Championships. They have proven to be balanced, reliable and stable and are crafted from the finest sources of cane. 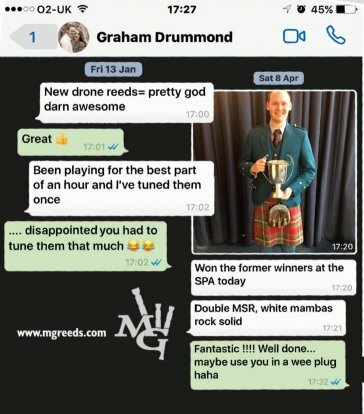 MG chanter reeds are easily manipulated too suit your own set up and in addition comprehensive reed manipulation pages are available from the menus below.